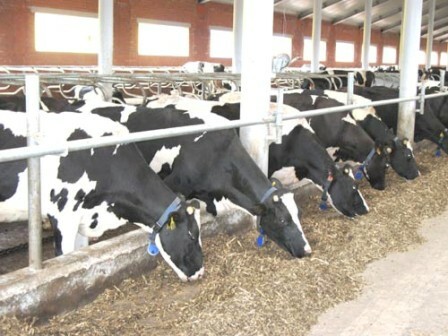 On April 24, 2012(Tuesday afternoon), the United States Department of Agriculture announced the nation's fourth case of bovine spongiform encephalopathy (BSE), sometimes called mad cow disease, in a dairy cow from central California. This is the fourth case of BSE ever discovered in the United States- and the third case that has been described as "atypical." Guy Loneragan is an epidemiologist and food safety professor at Texas Tech University (moved in recent months over from West Texas University) and was the authority provided to the media on Tuesday afternoon by the National Cattlemen's Beef Association, who was the lead group/organization in getting some positive information out to the media after USDA released a statement from Dr. John Clifford via email. He pointed out the key to this announcement by Chief Vet Dr. John Clifford is that the dairy cow in central California was discovered as an atypical case of bovine spongiform encephalopathy (BSE). This is the fourht BSE case discovered in the United States, with the first being the dairy cow traced back to Canada and oftened called the "Cow that Stole Christmas" as it was announced by then USDA Secretary Ann Veneman on December 23, 2003. That animal had classic BSE and was traced back to bad feed in Canada. Cases two and three were beef animals in Texas and Alabama and both were atypical cases, with the most recent before Tuesday being found in 2006. On today's Beef Buzz, we hear comments from Dr. Loneragan on the rare nature of this event- and what we know of atypical events globally of this disease- there have been only about 60 reported worldwide. You can click on the LISTEN BAR below to hear his comments on today's Beef Buzz. You can also click here to listen to the full 27 minutes of the News Teleconference held by NCBA with Loneragan and Colin Woodall of NCBA. The beef industry has a website where information is available- click here for that. Ron Hays Beef Buzzes with Dr. Guy Loneragan of Texas Tech on the discovery of a BSE case in 2012.